When one of my friends has a special celebration I love to find something they really like and create a themed gift basket. I always try to add something handmade. It’s fun for me and they are always a huge hit! This past spring a friend of our family’s graduated from high school. She started cosmetology school this summer to become an esthetician, so I created a basket with fun skin care products for her. 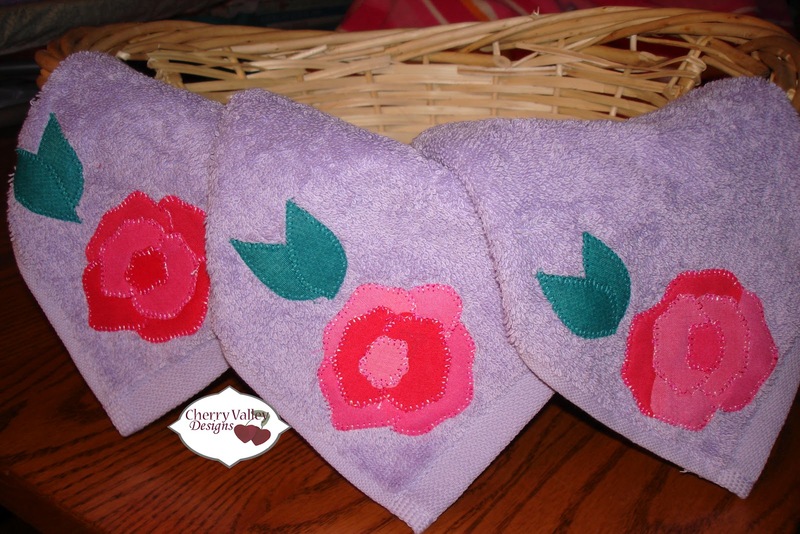 This basket included three wash clothes with a rose applique on each and a hand towel with a three tier ruffle. Check out the pictures below! A close-up of the hand towel with ruffles. A close-up of the wash clothes with a rose applique on each. A couple of years ago I made a friend a cupcake-themed basket for her wedding shower. 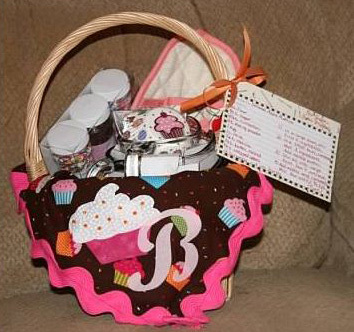 She loves to host parties and do lots of baking, so I made a basket liner trimmed with jumbo-sized, pink ric rac. I appliqued it with the initial of her married last name and a cupcake complete with sprinkles (glass beads). A close-up of the appliqued cupcake and initial. Don’t forget to check out this week’s designers with the Glorious Autumn Quilter’s Block Party which you can find here. 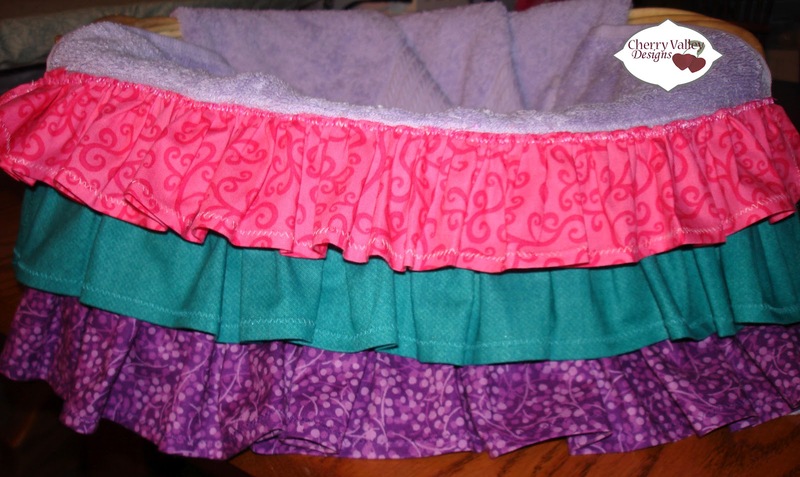 This entry was posted in Sewing by megan17325. Bookmark the permalink.